Around 11 AM on June 26, 2001, six days and one hour after Andrea Yates summoned Houston police to her suburban, middle-class house and confessed that she’d drowned her children, St. Martin’s Press contracted me to write a book about the case. Simultaneously, Judge Belinda Hill of the 230th District Court in Harris County, Texas, the presiding judge on the case, placed a gag order on all involved, including cops, investigators, attorneys and witnesses. Yates’ husband, Russell Yates, was served the gag order at church that night while attending his dead children’s visitation. At the time, I thought the gag order and competing with the national media were my only obstacles to covering the crime. I was wrong. I had the wrath of Judge Hill with which to contend and the fallout from the jailing of freelance writer Vanessa Leggett. Leggett was a friend of mine, who I’d met two and a half years earlier at a book signing for my first true crime book, Wasted. She soon told me she was working on a true crime of her own, about a Houston murder, and that she’d done research for a Texas Monthly writer, taught classes to law enforcement officers, and done some private investigation work. July 16, 2001, Vanessa and I shared lunch. The national media had hired private investigators and had teams of reporters on the Yates case. I needed Vanessa’s investigative help. She told me the Houston chief of police had sent a memo to all HPD employees, threatening their jobs if they spoke to anyone about the case. But Vanessa, pale and shaking, also told me that Federal investigators were after her for refusing to turn over her complete research files regarding accused murderer Robert Angleton, the subject of the book she was writing. She couldn’t do that, she explained, because she’d promised many of her sources anonymity. If she turned over her files, her sources would be revealed. She could not compromise her word. And because of that, she wouldn’t be surprised, she said, to be jailed by the end of the week. Journalist Vanessa Leggett serving time for contempt of court. July 20, 2001, Vanessa was locked in a Federal cell, held in contempt of court. Suddenly, she was the news, and suddenly, I was advised to give my two previously published books to prosecutors, defense attorneys, and any other potential source to assure them I “wasn’t another Vanessa Leggett,” that I was a “legitimate, published author,” not the “wannabe” that prosecutors were accusing Vanessa of being. By then, attorneys for Andrea Yates and attorneys for the Houston Chronicle had filed briefs in the 14th Court of Appeals, attempting to fight Judge Hill’s gag order. Some days, it seemed that the Yates and Leggett cases were fighting for front-page space in the Chronicle. Every time Vanessa’s story was printed in the Chronicle, then covered in the national, and even international, media, my job became harder. Rapidly, sources who had said they’d talk, wouldn’t. At least one potential source, I was told, consulted his attorney about my interview request, before turning me down, on the attorney’s advice. Others turned me down on the advice of colleagues. In fact, I had more interviewees stand me up for meetings during the five months of reporting the Yates case, than in my previous 25-year career. Other sources became jittery and agonized over their decisions to talk. When they did speak, they spoke only on condition of anonymity, which caused them to panic that I wouldn’t be another Vanessa Leggett and that I wouldn’t protect their identities. So, one minute I had to reassure them that I was another Vanessa Leggett and I would go to jail to protect them. And the next minute I had to reassure them I wasn’t another Vanessa, i.e. allegedly unpublished. All of this gag order-inspired need for anonymity eventually affected my ability to tell a more complete, full, and truthful story, in what I found to be an unexpected way. Despite the fact that I often had two to four sources confirming imperative facts, since all of those two to four sources were anonymous, St. Martin’s attorney wouldn’t allow me to use those rock solid facts. He understandably feared that no source would stand up in liable court to back me. 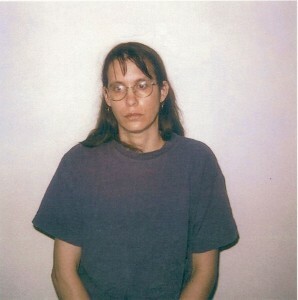 August 8, 2001, Andrea Yates walked into the 230th District Court for her arraignment. Her plea of not guilty by reason of insanity was quickly entered. Less quickly, prosecutors and defense attorneys carped about leaks to the press, as the defense desperately tried to slip in statements rebutting alleged prosecutorial leaks. Judge Hill silenced the attorneys, making it clear she wasn’t going to tolerate any attempts to try the case in the press. The arraignment ended and a bailiff ordered the press out of the courtroom. Indeed, the day before, Judge Belinda Hill had issued a gag order instructing all “spectators and media representatives” to “immediately leave courtroom 7-7 and all cameras shall be removed as soon as possible,” after the proceedings were concluded. The judge’s order also demanded that the pool video camera not record any sound–nothing the judge or attorneys said. That afternoon, Judge Hill briefly loosened the gag order for the prosecution only as the Harris County District Attorney’s Office announced it would seek the death penalty against Andrea Yates. The next day, District Attorney Rosenthal defended his decision to CNN. Yates attorney George Parnham also asked the judge for a loosening of the gag so that Russell Yates could respond to the the DA’s death action against Yates’s wife, i.e. so he too could defend his position. The judge only allowed the defense team to announce the formation of the Andrea Pia Yates Defense Fund. 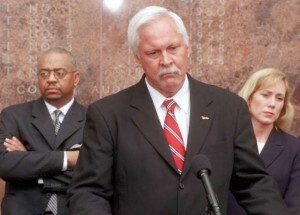 At the press conference, the media asked Russell Yates what he thought about the DA’s decision to seek the death penalty. Yates replied that he would love to answer that question but he couldn’t because of the gag order. Then, said Flood, on the Monday prior to the arraignment, “another problematic hearing was held in the Yates case. Reporters who happened into the unannounced event couldn’t hear the proceeding and several said the judge wouldn’t clarify what happened afterward.” The attorneys couldn’t clarify the proceedings either, she wrote, because of the gag order, thus encouraging false reports to go uncorrected. I also requested that my name be included on any media contact lists for future news conferences and/or press releases. Only Rosenthal answered: “I am sure that you are a very good author and will do a fine job in documenting the capital murder case. As a matter of course, I do not do press releases.” He may not have done press releases, but both he and Russell Yates were talking to the Dallas Morning News. Just before Labor Day weekend, defense attorneys filed more than 1000 pages of medical records with the court, presumably as a way to rebut previous prejudicial statements from the prosecution, and Court TV filed a motion asking to televise the Yates competency hearing scheduled for September 12. The Court TV motion was eventually denied. The judge did decree that a video camera could be in the courtroom, but nothing could be broadcast live, and no sound could be recorded. The original “Breaking Point” cover. I emailed again asking if I needed to do anything in particular prior to “coming on down” or once I “come on down.” He replied that I need to come to the administration office to pick up my pass. At some point, St. Martin’s Press followed up my request with a request of their own, on my behalf. I also followed up with DA Rosenthal, sending him several “dummy” copies of my book’s cover, giving him plenty to show off to his cronies, and letting him know the book was truly “in the works” for publication. It’s title was Breaking Point. September 11, 2001, I learned that New York and Washington were being attacked, just as I learned that jury selection was beginning for Andrea Yates’s competency hearing. Despite my correspondence with the DA’s office and the courts’ administrative office, no one had ever indicated to me that jury selection began the day prior to the published competency hearing start date. I raced to downtown Houston on empty inbound lanes as I stared at cars parked in traffic desperately trying to get home to family and safety. But that was moot; due to the terrorists’ attacks, the Yates competency hearing was postponed a week. So, on September 18, I showed up at the courts’ administrative office to get my press pass only to learn that my pass was the for the actual competency hearing only, not jury selection. Again, no one had informed me that there were different passes for different aspects of the hearing. Casually and comfortably, Jack Thompson, and his co-worker Janet Warner, suggested that I go have a chat with Judge Fuller, the judge in my first true crime book. I did. Then I stood in the hallway and watched, taking notes on the courthouse atmosphere. Janet Warner came up, stood beside me, and she chit-chatted about Judge Hill, saying she was the “best judge” they had. I asked if I could just peek through the courtroom window during jury selection to get a feeling of the courtroom for the book. Graciously, Warner got me a pass that had been reserved for CNN, taped over it with “St. Martin Press” (sic), and gave it to me. After all, CNN had abandoned Yates coverage for 9/11 coverage. So had 60 Minutes, which had interviewed Russell Yates with a planned airdate of the Sunday after the competency hearing. Indeed, during the actual competency trial, Russell Yates had grinned in the courthouse corridor as he’d said he knew he wouldn’t be thrown in jail for breaking the gag order because 60 Minutes had interviewed DA Rosenthal, too. And I frowned in the courthouse as I repeatedly talked about my Yates book deadline–just a month or two away. Russell Yates awaiting the verdict at the 2001 Andrea Yates competency hearing. Saturday, September 22, 2001, the jury came in with a verdict–Andrea Yates was competent to stand trial. Following the judge’s orders–which were similar to those of the arraignment–the press raced downstairs, out the courthouse doors, and stood outside waiting for attorneys and jurors to exit. After all, courtroom and hallway interviews were prohibited, even on Saturdays. Finally, Judge Hill’s bailiff walked outside and bellowed to the press that they couldn’t interview the jurors. “It’s not legal,” yelled Cynthia Hunt, who was a reporter for the Houston ABC affiliate. She argued that the judge had removed that from the media orders. “It’s not my problem,” the bailiff replied and left. But he soon returned, with Judge Hill’s media order in his hand and read them aloud to the press. “Anybody gonna cross the line?” said one reporter. “We’ll watch,” came the chorus. Two months later, Hill handed down her decision, upholding her order. …But she omitted a section banning the media from publishing information about the jurors. She also claimed she previously told the jurors that they could contact the media, the media just could not contact them. 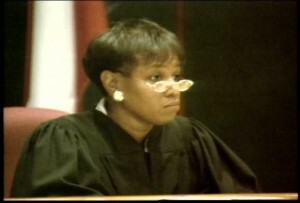 December 3, 2001, Judge Belinda Hill began pre-trial motions on the Yates case. The day ended with Russell Yates’s attorney, Edward Mallett, requesting that the judge release his client from the gag order. He claimed that Yates was under a witness subpoena “to keep him from speaking and attending his wife’s court proceedings.” And, indeed, Russell Yates had not been allowed in the courtroom during his wife’s competency hearing. He was a witness who had never been called to testify. Prosecutor Kaylynn Willifornd denounced the motion as an attempt to violate the gag order–its very contents violated it, she declared. She pleaded with the judge to seal the motion and prevent its publication, as reporters already had copies. The following Sunday night, Russell Yates and Harris County District Attorney Chuck Rosenthal were on 60 Minutes, in the segment that previously had been scheduled to air in September. Both men appeared to be in violation of Judge Hill’s gag order. The following morning, media covered the courthouse, believing Yates, but not Rosenthal, would be arrested for contempt of court. Neither man was arrested. Instead, Hill eventually appointed a special prosecutor to investigate the situation. Rumor circulated that “Mac” Secrest, the special prosecutor who–like Hill–was a former Harris County prosecutor, would dilly-dally with the investigation until after the Yates trial so that no one, particularly the DA, would have to be arrested. January 3, 2002, I received a phone call from a reporter in Houston advising me that if I wanted press credentials for the Yates trial, I had to apply for them by January 4. I immediately emailed the request and drafted a “chit-chatty” letter, on my business letterhead, thanking Jack Thompson and Janet Warner for getting me into the competency hearing and requesting a press pass for the Yates jury selection and trial. I specifically stated, “I don’t need to be there every day, just the days y’all deem open enough for another reporter.” After all, our relationship had always seemed chatty and based on Texas politeness–the ole honey gets more than vinegar teaching. I faxed that letter to the courts’ administrative offices. The following day, Janet Warner phoned me, told me that I couldn’t get in for jury selection, it was already full, she said, but that I had a seat “for every day” of the trial. We also discussed the possibility of me getting into jury selection after about two weeks, i.e. after the novelty had worn off. She told me to call her back in two weeks–it was a possibility. The conversation seemed all honey. That same day, Vanessa Leggett was finally released from prison on her contempt of court charge–not because she had turned over her sources, but because the grand jury had been released … five and a half months after she’d been arrested. Sunday night, January 20, 2002, Good Morning America asked me to be on their next morning’s show. 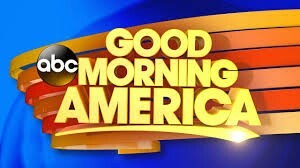 Time magazine’s story on Andrea Yates was finally out, its reporter was going to be on Today, and GMA needed counter programming. I accepted the GMA offer–my book about Andrea Yates would be on the stands in the next week or two, more than five months after I had first notified the DA’s office. So on Monday, January 21, in the midst of the Yates jury selection, Time‘s Timothy Roche was on Today and I was on GMA, as well as ABC World News. That same week, Oprah’s O magazine published a Yates story by Suzanne O’Malley and I heard that Janet Warner was unhappy with me for thanking and acknowledging her in my book. I was advised to phone Warner and apologize to her, which I did. During that conversation, Warner told me that Judge Hill was “angry” with me, felt that I had “misled” her about the book’s publication date, and that I was on a “list” of people that the judge was “checking in to.” (I had never communicated with the judge, so I don’t know how I “misled” her.) Time was also on that list, Warner said. And she strongly insinuated that I would not be receiving my press credentials. For the first time, our chit-chatty conversation had a sense of terseness to it. Still, polite honey very superficially coated the vinegar. So I contacted St. Martin’s Press and asked them to fax another letter of request to the courts’ administrative office, which St. Martin’s did. About the same time, a producer for 48 Hours phoned me and asked for my assistance on a program they were working on about Andrea Yates. It would not air until after the trial, I was told, but 48 Hours had, with Judge Hill’s approval, behind the scenes access to the judge, prosecutors, defense attorneys, and more. In other words, it appeared to be a flagrant, judge-approved violation of the gag order. And I wanted my press credentials. I phoned someone who I knew had regular contact with Judge Hill and said I know what’s going on with 48 Hours, I want my press credentials. I also knew that 48 Hours had been filming confidential conferences at one of the attorney’s offices. The person I phoned advised me to request a meeting with Judge Hill because, my source said, Hill had repeatedly mentioned a portion of my book where Russell Yates talked about his master PR plan to change the outcome of the trial–60 Minutes airing on a Sunday back in September. I had put that in the book because I thought it ludicrous that Yates believed he could control the national media. I was informed, though, that the judge had bought into it and believed it when, by coincidence and ABC’s need for counter programming, Time magazine, GMA, World News, O, and my book all came out at the same time. My source also told me that if I had a meeting with the judge, I wouldn’t even have to bring up the topic–the judge would, she was that obsessed with the subject. I phoned an attorney who advised me not to request the meeting with Judge Hill because, he suggested, the judge might ask me about my sources. Having learned from Vanessa Leggett, I wasn’t about to reveal my sources. On Sunday, February 3, 2002, Russell Yates phoned and asked me to call his attorney, who had just recently found out about the judge’s “deal” with 48 Hours. I understood that Mallett wanted to encourage me to fight for the credentials, although Mallet and I never spoke. Instead, I had already turned to the Center for Individual Freedom, which was working with St. Martin’s Press, to draft a new letter to the courts’ administration, explaining why I still needed press credentials despite the book being out. The book would require a post-trial update. I also got the Austin Chronicle, which was a 20-year-old weekly newspaper with more than a quarter of a million readers, to request press credentials on my behalf. I had freelanced for them for several years. The Chronicle faxed the request that week, and that week–once again through the grapevine–I heard about a meeting for the press covering the Yates trial. The meeting was scheduled for Thursday, January 7 with Janet Warner presiding. The Center for Individual Freedom advised me to attend the meeting so that my lack of attendance could not be used as an excuse to boot me out of the trial. During the meeting, ABC field producer Gina Treadgold asked Warner if anyone had been denied credentials for the trial. Initially, Warner said no, then added, well, no, no one who had complied. Jack Thompson broke in and said they’d had a few problems with freelancers. He didn’t elaborate. Warner only said that “almost 50 people” and “right at 50 people” had been credentialed. After the meeting, I went to Warner’s office and asked if her comments meant that I still had my press credentials. She asked whether I was covering the trial for the Austin Chronicle or St. Martin’s Press. I answered St. Martin’s. She replied that the situation was still being evaluated, Judge Hill made the final decision, I would learn the decision the following day, and Time magazine had credentials. Then she said, well, no, she didn’t know whether Time had even applied. Again, we were Texas polite with each other. She also told Lee that I would know the results the next day and there was nothing else I needed to do to get the credentials. “…A media representative had needed only to submit a request on the media company’s letterhead.” And she said that 50 media seats had been filled since January 4. I phoned Warner the next day. She did not take nor return my call, despite the fact that I was told she would call me “right back.” Someone who happened to be in Warner’s office when I phoned told me that Warner had “made a face” at the mention of my name. So much for Texas politeness. Doug Lee also phoned and did not get through to Warner or Jack Thompson. Warner spoke in the article about being called “Grumpina” by the media during the trial for Yolanda Saldivar, the woman who killed Tejano singer Selena. “People would line up at 4 a.m. at the Family Law Center across the street with their rosaries, praying for a seat,” the Chronicle quoted Warner. February 13, 2002, Doug Lee, on my behalf, requested that Judge Hill reinstate my press credentials. The request was refused. Valentine’s Day 2002, the Center for Individual Freedom helped me sue Judge Hill and Janet Warner in federal court and move for a temporary restraining order, which would place me in the Yates trial press pool. Suddenly, a middle of the night fax was sent telling me that I could attend the trial as a spectator. The following day, Warner and I appeared in federal court. An absent Judge Hill was represented by a man on speakerphone from the State’s attorney general’s office in Austin, Texas. The courtroom had a surreal “Charlie’s Angels” feel to it. And the federal judge announced that she would not be hearing any evidence. The defense then argued that my rejection was based solely on procedure and that I had not followed procedure because my letter was on my “personal” letterhead, not “the agency’s.” It was my business letterhead, not personal. And to an author, “agency” letterhead refers to a literary agent’s letterhead, not a publisher’s. Additionally, on January 4 when Janet Warner and I had chit-chatted and she’d told me I had a seat for “every day” of the trial, she did not mention that I had failed to follow procedure. If she had, I would have had time to make corrections and follow procedure. Nor did she mention my alleged procedural error on the message she’d left on my answering machine on January 30. “I’m afraid we’re not going to be able to honor this due to the fact that Breaking Point has already been published and is on the rack…” was her only complaint. The defense claimed that the credentials had been rejected because the requests were submitted after the January 4 deadline. O magazine’s request was clearly dated January 2, prior to the deadline. It was rejected, said a note scribbled on the page, because it was signed by O’Malley, not an O staffer. When the defense discussed the rules for submitting credential requests, there was no reference stating who had to sign the request. The judge did not pick up on that. She only mentioned her seemingly annoyed observation that my letter of request was chit-chatty, insinuating that because of that it was unprofessional and easily dismissed. There was an extensive discussion about how the rules for submission had been disseminated to the applicants–AP news wire and the district courts’ website, we were told. As a freelancer, I didn’t have access to AP news wire. And in fact, I talked with staff reporters for Houston media and freelancers who didn’t know about the courts’ website. In fact, I received emails from other freelancers telling me they had missed the application deadline because they did not know about it. So much for AP news wire and the courts’ website getting the message to the press. The federal judge asked the defense about my chances of getting into the trial as a spectator. Janet Warner stated that in her many, many years of working for the court she had never seen a trial where spectators couldn’t get in–despite the fact that she’d been quoted just days before in the Houston Chronicle that spectators had been “praying” to get in to the Selena trial. The judge asked the defense how many spectators had attended the Yates competency hearing. Warner answered 20 to 30. No one mentioned that the hearing had been held the week after September 11, a week when most Americans were staying safely tucked in their homes. Certainly attendance that week could not have been a predictor of the following February. However, that information would have been provided by the plaintiff–me. And I was not allowed to submit evidence. The judge asked about irreparable damages to me and mentioned that I could get the trial transcript. I had tried to obtain the court transcript for the Yates competency hearing. But the court wanted approximately $5400 for that one week trial, payment upfront and delivery three weeks later. As a freelancer for St. Martin’s, all expenses come out of my pocket, and I could not afford $5400 times four weeks, the expected length of the actual Yates trial. But I didn’t get to say that. Also, reading a court transcript is not the same as attending a trial–seeing the witnesses’, attorneys’, jurors’, judge’s and spectators’ reactions; hearing their tones of voices; etc. I didn’t get to say that either. The judge asked what harm there would be if I had to get to court very early each day to get a seat. It would cost me book sales. I was already scheduled to do early morning TV and radio to promote Breaking Point. Getting to court early would force me to cancel much early morning PR, which may have been what the court wanted. After all, Janet Warner had said, “We don’t want to give that any publicity.” But I didn’t get the opportunity to say any of that. I would have loved to. I knew the defense would resort to the cliché that I had sued for the publicity. I wanted to submit my PR schedule to let the defense and press know that I didn’t need this kind of PR to sell my book. Prior to filing the lawsuit, I already had more PR booked than I could handle and was turning down requests. And, sure enough, as soon as the judge denied my request for a temporary restraining order and the defense hit the street, their attorney retaliated with the cliché that I had sued only for the PR. The defense also claimed that neither Hill or Warner had read Breaking Point–despite Hill repeatedly referencing a portion of the book to others, Warner knowing that she was acknowledged in it, and Warner being seen with an illegal bootleg copy of the book in her Yates file. That weekend, I heard rumor that spectators had to have “tickets” to get into the Yates trial–something that the defense certainly never mentioned to the federal judge. The following Monday morning, the first day of the trial, I did get one of those “tickets” and did get in, on the back row. I could not hear. I could not see. Judge Hill used her microphone only when she was berating the press corps. Otherwise, she turned it off and pushed it away. A day or two into the trial, a Harris County senior citizen sat down next to me and–not knowing who I was–said, “What’s this judge trying to hide?” The woman explained that she was just a taxpayer, had no ax to grind, she just wanted to know what was going on with her tax dollars, but she couldn’t hear what was being said in court. I never saw that taxpayer in court again. 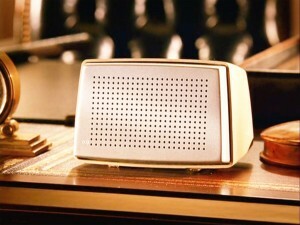 Citizens and reporters complained time and again about the inability to hear. The judge never turned on her microphone. And I stood in the back of the courtroom and counted press seats–45, not the promised 50. In other words, there was room for all five of us denied credentials but submitted as evidence in federal court: St. Martin’s, Time, GMA, World News, and Suzanne O’Malley. Indeed, there had been room enough for extra reporters at the jury selection too, but Judge Hill had refused to allow in additional press. The one good thing about not having a press credential, I soon learned, was that I was not subject to the media orders. Those orders prevented credentialed press from talking to witnesses. I could talk to Russell Yates, Andrea Yates’s mother, Andrea’s brothers, Russell’s relatives, attorneys, witnesses, anyone I wanted to, and the judge could not throw me out of the courtroom. Instead, she threw out an MSNBC producer, who was not credentialed, for slipping into an empty row reserved for press. The producer was only trying to better hear the proceedings. Friends of the judge, though, could come and go as they pleased. They sat on front rows; they took breaks when they wanted. We, the press, though, were the criminals in Judge Hill’s jail, scared to shift in our seats, scared to sneeze when nature forced us. But spectators who were not media were eventually allowed to sit in some of those vacant media row seats. One day, I was late for court and spectator passes were gone. Kindly, Janet Warner found me a pass and told me they held a few aside each day. Hmmm? The next day, many reporters who also weren’t credentialed got there after all spectator passes had been distributed. Warner found them passes, too, but she rushed up to me first and asked if I had one. I did. I’d passed up early morning interviews to be there. I figured she offered me one first because she thought I’d get on TV screaming that I didn’t get in. Tuesday, March 12, 2002, Andrea Yates was found guilty of capital murder. The following Monday, Judge Belinda Hill formally sentenced Yates to life in prison, and I had lunch with Vanessa Leggett. Leggett flopped in front of me a U.S. Department of Justice publication titled The Diversity of Homicide. I opened it and turned to the title page; there was Leggett’s name as editor of the publication. I flipped to page 37 and found an article written by Leggett. She was a published editor and writer by the very entity that had imprisoned her and claimed she was a “wannabe” journalist. By the way, one of the FBI investigators against Vanessa was Harris County District Attorney Chuck Rosenthal’s wife. April 4, 2002, approximately three weeks after the final gavel had slammed in the Yates trial, “Mac” Secrest, the special prosecutor appointed by Judge Hill to investigate the breaches of the gag order, issued his findings. Secrest stated that Judge Hill’s order violated the First Amendment, i.e. it was unconstitutional. Harris County District Attorney Chuck Rosenthal–and Russell Yates–would not be held in contempt of court, i.e. no one was going to prosecute the district attorney. 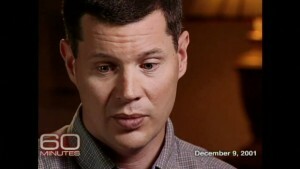 Rosenthal later told the press that when he did the 60 Minutes interview, he didn’t know when the program would air. Hill refused comment. This essay previously appeared—in a slightly different form—on the Center for Individual Freedom website. 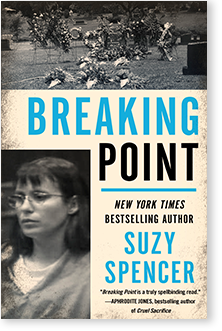 The updated edition of “Breaking Point,” which provides complete coverage of the Andrea Yates case, including the 2002 trial. Breaking Point that included a brief summary of the 2002 Yates trial. The following year, Andrea Yates was retried. On July 26, 2006, a Harris County jury found her not guilty be reason of insanity. In 2008, Chuck Rosenthal resigned in disgrace. In 2012, Judge Belinda Hill vacated her bench and joined the Harris County District Attorney’s Office as first assistant district attorney. 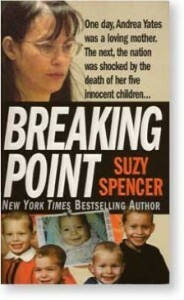 In 2015, Diversion Books published a 20,000+ word, updated edition of Breaking Point, which includes my day-by-day coverage of Andrea Yates’ first trial. Greetings, is there a way to contact Vanessa? Or have her contact me. I would like to explain with "proof" how Vanessa was fraudulently and unlawfully incarcerated by a nonjudicial territorial court pretending she is a federal business entity not as on of the People. Thanks! Keep up the good work. I've forwarded your message, but I know she's swamped so I don't know if/when you'll hear from her. Justice is not only blind but apparently deaf to reason and mute in the face of resistance.